I love blogging, social media and marketing. Since you’re about to read this post, I’m going to assume that you do too! I started Something About That almost four years ago. Never in my wildest dreams would I have imagined that it would become such an important part of my life, or that I’d make money from it. The industry has changed a lot since then, but so has my blog. One of the biggest things that I’ve learned is that there’s no limit to what you can do. In the last few months (ironically, since quitting my job), I’ve had some pretty awesome opportunities come my way. Of course, it’s easy to look at all of the competition around you and feel discouraged. I get frustrated with the competition too, but there’s competition in every industry or job. I’m confident that there’s room for all of us! Hard work, dedication and perseverance is the key to success, no matter what you do for your career. 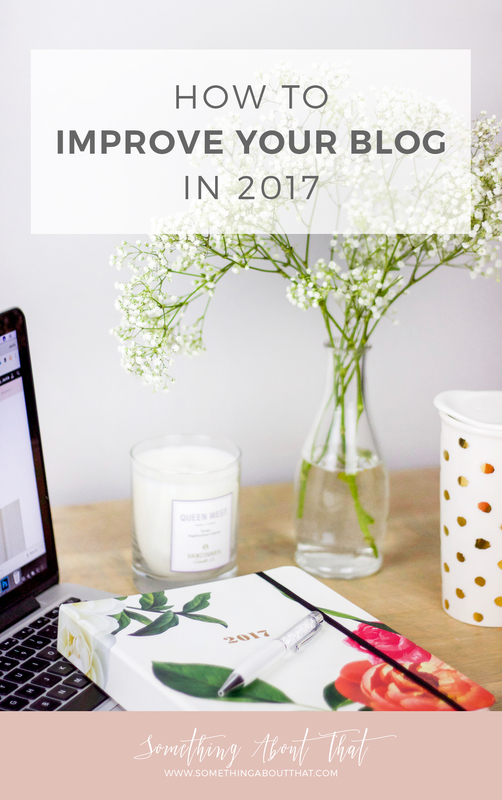 If you’re looking to grow your blog, today I’m sharing some tips for how to improve your blog in 2017! 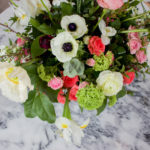 There’s no denying that photography is an important element of (almost) any blog. You can be the best writer in the world, but I believe that the quality of your images will make or break you as a blogger. Now, I’m not saying that you need to go out and buy fancy equipment, photography lessons, or powerful software to be successful. It would be nice though, wouldn’t it? An investment could be as simple as spending time reading articles about photography and refining your craft. If you want to improve your editing skills, I recommend you read this article about how to edit in Lightroom. Until I read that article, I had never used Lightroom before. Photoshop was what I knew, so it’s what I used. After I read that article, I taught myself how to use Lightroom and now that’s what I use to edit the majority of my photos. One of the things I love about photography is that there’s so much to learn and there’s always room for improvement. This year, I’m going to continue to invest in my blog’s photography. I plan to do this by reading articles about composition and editing styles. I also want purchase a few new tools to improve my product photography. I know that I’ve mentioned this before, but one of my blogging goals for the year is to do more video content. Towards the end of last year, I started using my YouTube channel. I also worked with dubdub and learned how to quickly shoot and edit videos on the go. All of that said, it’s only just the beginning. Video is going to be huge in 2017, or at least, that’s what the marketing gurus keep preaching. If you’re wondering how to improve your blog this year, you should consider creating some video content. 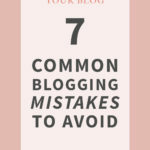 Do you remember my common blogging mistakes to avoid post? One of the mistakes that I mentioned I was still guilty of making was not having an email list. Well, guess what I finally did? That’s right – I created a MailChimp account! Now I’m working on collecting emails to send out newsletters and exclusive content! What’s your blog about? Do you write about a specific topic, or do you write about anything and everything? Who is your audience? Do you write with them in mind? It can be very difficult to narrow down the focus of a blog. This is something I struggle with too, but ultimately, blogs that have a niche tend to be more successful. The reason is, people typically search the internet because they’re looking to solve a problem. Write for your audience and offer them content that is valuable in some way. For example, I have a blogging tips category because I know that a lot of my readers are bloggers…and that’s why I’m writing this post! Never try to be something you’re not. The internet can smell a fake from miles and miles away! And whatever you do, don’t steal anyone else’s work! Plagiarism is never cool. If you’re not…you need to start! 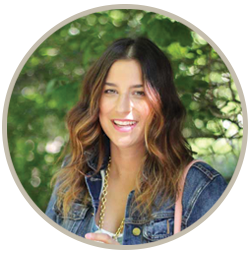 Several months ago, I had a chat about SEO with Christina of Shoe Tease. Christina has a wonderful blog and knows a lot about SEO. When we met, I mentioned that my blog’s traffic was pretty awful. Like, I was getting around 3,000 page views a month and it wasn’t growing! It turns out, one of the reasons I wasn’t seeing a lot of traffic is because I wasn’t really using my “alt tags.” If you’re curious about alt tags and why they matter, check out this article from Yoast. Growth and SEO takes a lot of time, effort and patience, this is why some people choose to hire SEO Services. Since focusing on more meaningful alt tags, I’ve been able to grow my blog’s traffic. There are many types of SEO services and agencies that you can use. Some agencies are general and will work with most niches whereas others will only work in specific topics. The Dentist SEO Company is an example of a company that only works in a specific niche, that being promoting Dentistry websites. It is so important that you find the right company to fit your needs. So research extensively before choosing the correct marketing company for you. You may like to check out the Whitehat site to see if they are the right fit for you. Do you use Pinterest as a marketing tool? If not, now is the time to start, girlfriend! Over the last few months, I’ve upped my game big time on Pinterest, and have seen a lot of return. To give you some context, I started focusing on growing my Pinterest account back in September. I had approximately 750 followers at the time, and didn’t see a lot of referral traffic to my blog. As of today, I have almost 4,300 followers and it’s one of my biggest sources of traffic. The secret to my growth is Tailwind. (PS – that is a referral link. It is a paid service, so if you sign up, I get a $15 credit and so do you! Win-win!) Essentially, Tailwind is a tool that allows you to schedule pins in advance. By scheduling pins in advance, you can ensure that your account is always active and that people can see your content around the clock. I believe the first month is free, but honestly…it’s been worth every penny! If you’re interested, I can dedicate a post to Pinterest growth, but there’s already a lot out there. The landscape of the marketing industry changes all.the.time. It’s hard to keep up with everything! I remember when I was working at a marketing agency and we had to train some of our clients on how to use social media. In order to stay relevant, we had to update the presentations all of the time. Did you know Facebook changes like, every week? Don’t ask why, it just does. Oh, and don’t get me started on how I felt about the introduction of Instagram Stories last summer! Ultimately, we just have to accept that changes are inevitable. It’s important to stay open to learning. What works now, may not work in 6 months or a year. Last year, I made more of an effort to attend events and meet other bloggers. As a result of that effort, I’ve met some incredible people and I’m always meeting more. Of course, I’m lucky to live near Toronto. It’s a huge city, full of bloggers and PR Agencies, so there’s always a lot of events. That being said, if you don’t get invited to events…just reach out to a few PR agencies and ask to be added to their media list! Alternatively, if you get invited and don’t attend, is it because you’re nervous? I was (and still am) incredibly awkward in social situations. Going to events alone is scary, especially if you don’t think you’ll know anyone there. My first instinct at events was (and still is) to grab a drink, hide in the corner, and play on my phone so I don’t look like a giant loser. It does get easier though! You’ll probably see some familiar faces from Instagram, so try to work up the courage and say hello. If I can do it, anyone can. If you see someone else standing alone, they’ll probably be relieved to talk to someone! When was the last time you updated the look and feel of your blog? Maybe you should consider modernizing your blog design in the coming months. Blogs and social media are marketing tools…so if you have an audience, it’s natural that brands will reach out and want to collaborate with you. Sometimes, these collaborations are amazing. Last year, I worked with some incredible brands, including McCafé Canada, Rexall Drugstores, and Shopbop, just to name a few! Just remember, not every opportunity that comes your way will be the right fit. And that’s okay! It can be hard to say no (especially when money is involved), but there will always be another opportunity. At the end of the day, you can’t pay me to endorse or write about something that I don’t like. You should never lie to make a quick dollar. That puts the trust of your readers at risk, as well as your credibility. 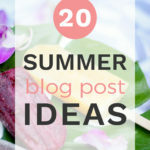 I hope that you found some of these ideas helpful. I could talk forever about blogging, so let me know if you have any questions, or would like me to elaborate on any of these ideas! Amazing tips! My blog has been growing for the past few months and I can’t wait to see what 2017 is gonna bring me and these tips are gonna help me accomplish my goals! Congratulations on the success you’ve had so far! Keep it up! These are some killer tips, lady- loving this! Def need to check out that Lightroom article and Tailwind! This is so so SO helpful!! Thank you! I’ve heard of alt tags, but honestly had no idea what they were! Definitely going to check out that post! I’ve been thinking about buying one of those A Beautiful Mess photography classes this year to get better! It will blow your mind when you start reading. I’m still trying to learn more, because there’s a lot you can be doing to improve. Also, I think you’ll have a lot of fun with a photography class. I hope you give it a go! Such great tips. Video is so not my thing. I know EVERYONE is using Instagram stories, but I don’t know anything about it. It really intimidates me. Loved this post Jackie! I, too just started building my e-mail list in the last month or so and while it takes a lot of work, there has been a huge pay off so far! I’m also a major fan of Tailwind! Have you tried a scheduling tool like Tailwind yet? It’s honestly what changed the game for me! Thanks so much for including me in your post and I’m so glad the Alt Tags have helped! All these points are so helpful and I’m still working on a few…such as attending blogger events (they make me VERY nervous!). Scheduling Pins is definitely another one I have to jump onto. Just out of curiosity: with Pinterest, do you ever post the same picture more than once? I’ve heard to do it, and sometimes I do…but I’m not sure it’s something that’s actually beneficial for growth on the platform. What’s your take? Absolutely – I couldn’t bring up that topic and NOT mention you! Blogging events still make me nervous, even though I go to them quite often. It really does get easier though. Even though I’m still super awkward, I’ve come a long way from where I was a year ago. And YES – I do re-pin the same image more than once! Just…not too close together.